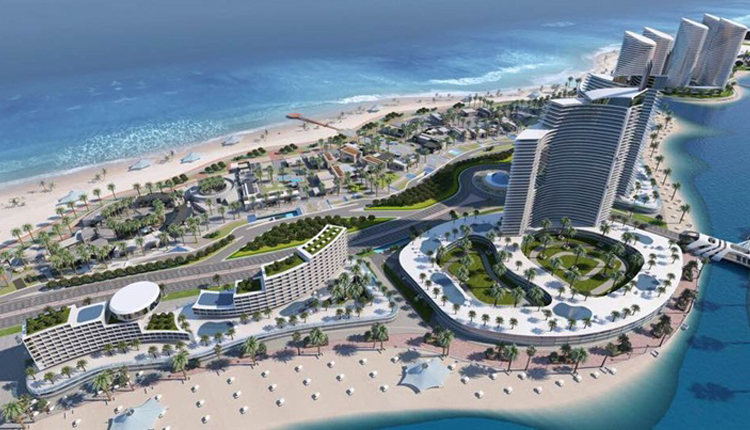 Egypt’s two construction firms have been tasked with executing the finishing works of New Alamein City’s two biggest towers within 2019, at a cost of 5.6 billion Egyptian pounds ($313.1 million). Egyptian government’s New Urban Communities Authority (NUCA) mandated the works to Redcon Construction and Dorra Group’s affiliate Construction and Reconstruction Engineering Company (CRC), an official source in one of these firms said on Thursday. “The finishing works will be implemented between 18 months and 24 months, at a cost worth 2.8 billion pounds for reach tower,” the source told Amwal Al Ghad, adding that the two towers’ concrete works costed 3.5 billion pounds. On March 1, Egyptian President Abdel Fattah al-Sisi inaugurated the first phase of New Alamein City project that will include a national university that comprises a bunch of applied science faculties, an opera house, a library, and a museum. New Alamein is located northwest of Cairo on an area of more than 48,000 feddans (49,824 acres) in Alamein town on Egypt’s Mediterranean coast. New Alamein is one of the fourth generation cities being built in Egypt in some of the most up-to-date architectural styles, and is scheduled to be finalised in one-year timeframe. It is expected to accommodate 400,000 populations. The anticipated city is designed to include 5,000 housing units to accommodate over 400,000 inhabitants and to have universities and schools as well as various services and tourist activities.